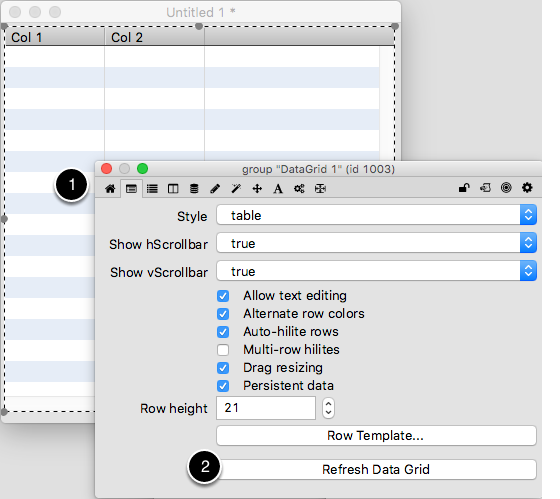 LiveCode LessonsData GridData Grid Tips & Tricks TablesHow Do I Add Tooltips To Column Headers? 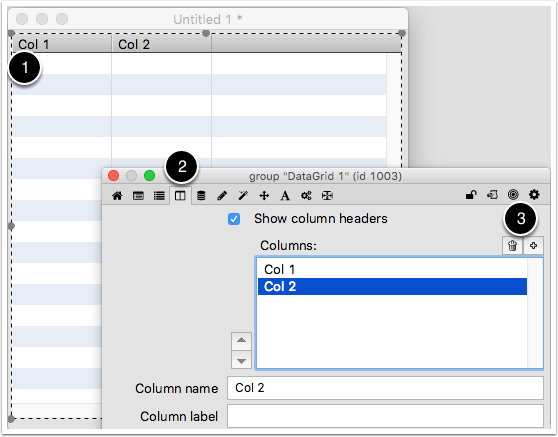 Currently column headers in a data grid table do not have a tooltip property. You can still get tooltips to appear, however, by customizing the default behaviour script for column headers. This lesson will show you how. Open the template card for the data grid table by clicking on the Row Template button in the property inspector. 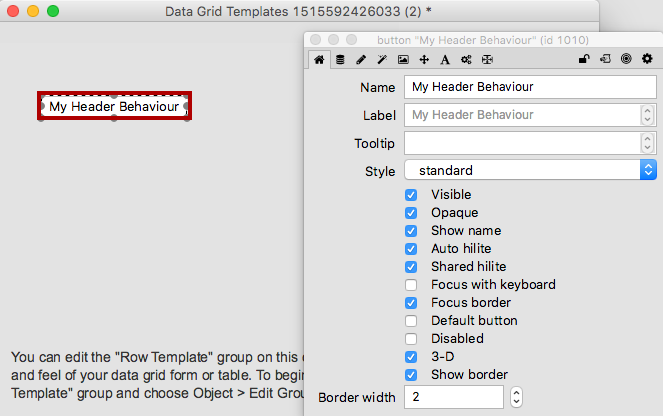 Drag a button onto the template card and name it My Header Behaviour. set the script of the selobj to the script of the behavior of button "Default Header" of stack "revDatagridLibrary"
This ensures that your behaviour has the same basic behaviour that a column header should have. Now edit the script of the My Header Behaviour button. 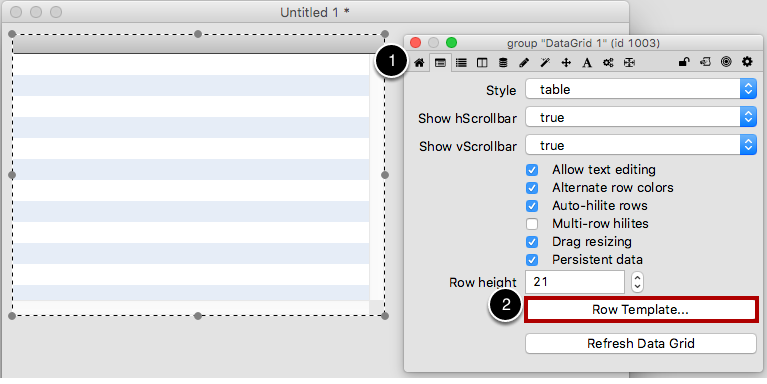 You want to customize the dgColumn getProp. In this example I'm calling a function that takes the name of the column (short name of me) as the first parameter. 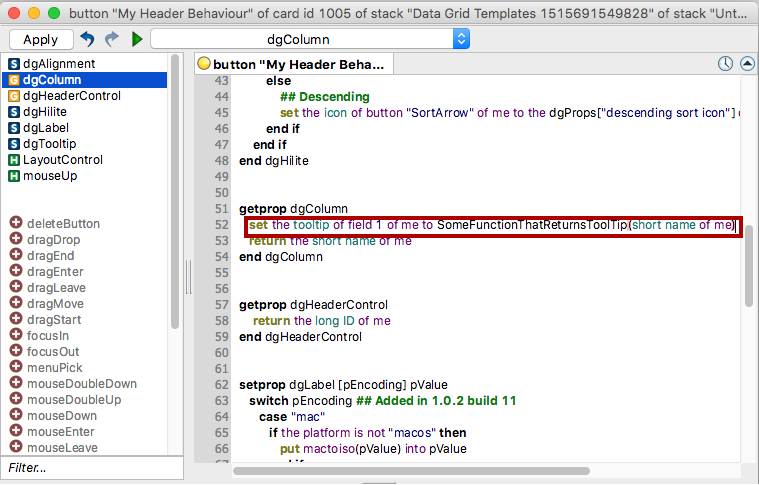 I'm going to define the function in the data grid group script. Select your data grid and edit it's script. 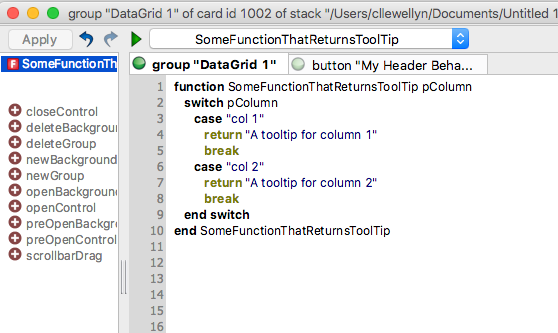 Define the SomeFunctionThatReturnsToolTip function to return a tooltip based on the column name passed in (remember to press "Apply"). 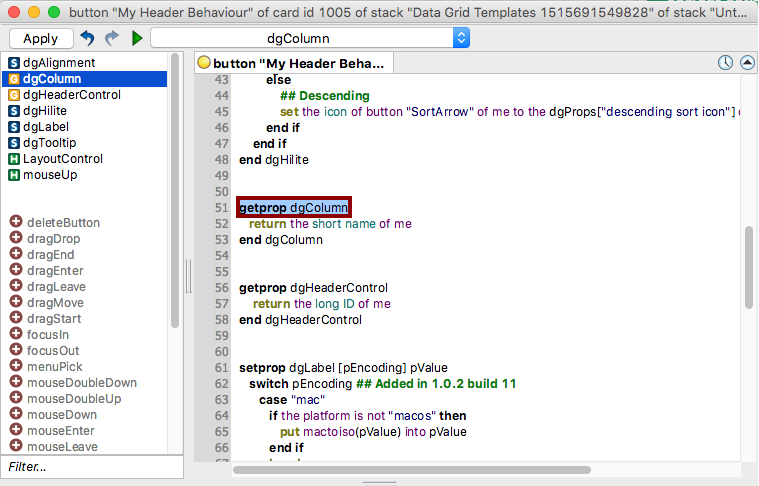 return "A tooltip for column 1"
return "A tooltip for column 2"
set the dgProps["default header behavior"] of selobj() to the long id of button "My Header behaviour" of stack "<stack name>"
This tells the data grid to use the script of your button rather than the default script supplied with the data grid. Select the data grid (1), then select the 4th tab across (2), then finally add 2 columns using the + button (3). While still in the property inspector, select the 2nd tab across (1), then select "Refresh Data Grid" (2). Now when you roll over a column header the tooltip will appear.